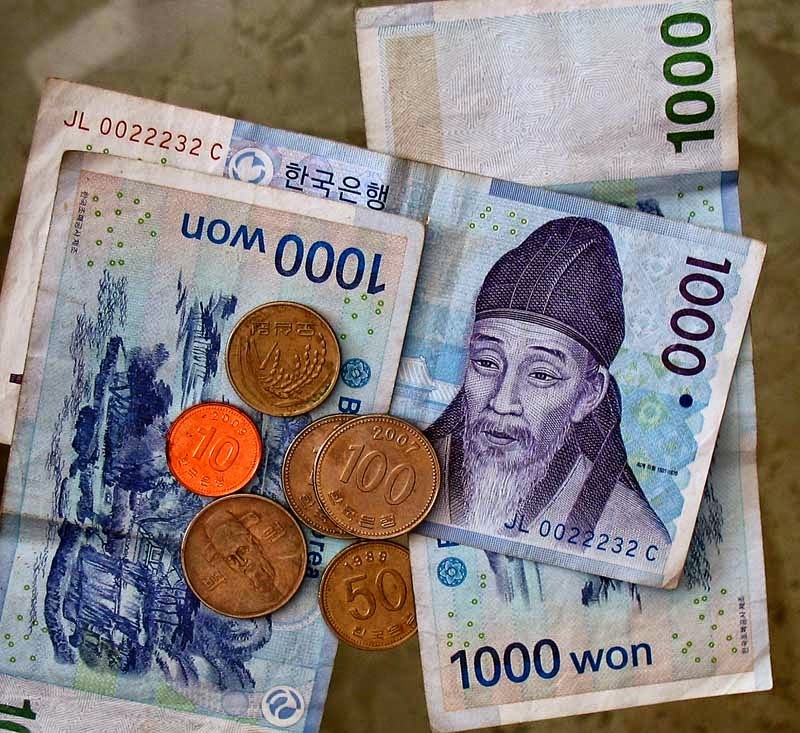 The Won (₩) or KRW is the currency of South Korea. One won is 100 jeon, which is the monetary sub-unit. 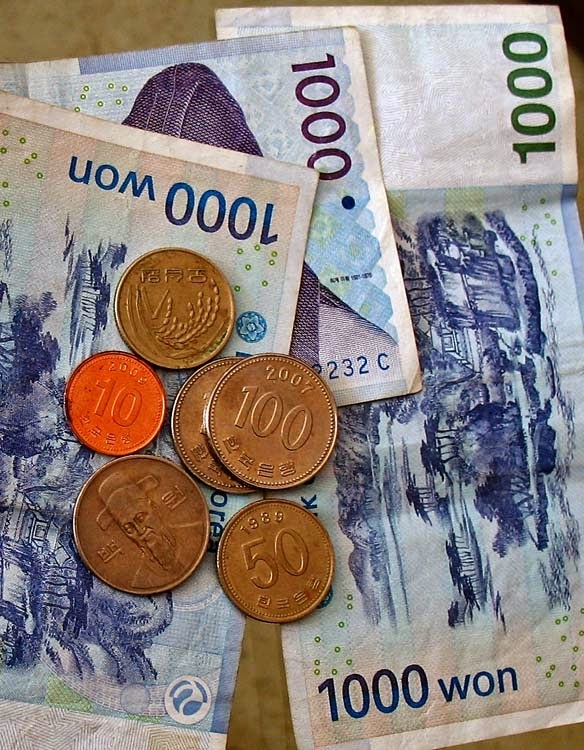 The North Korean Won is different and not pictured here. The coins lying on top of the notes are Won coins. 1000 Wons is actually small change because today 1000 wons will not even buy 1 dollar, the rate today being 1027 Wons for 1 USD. Though shown here, 10 Won coins have been demonetized in South Korea years ago. 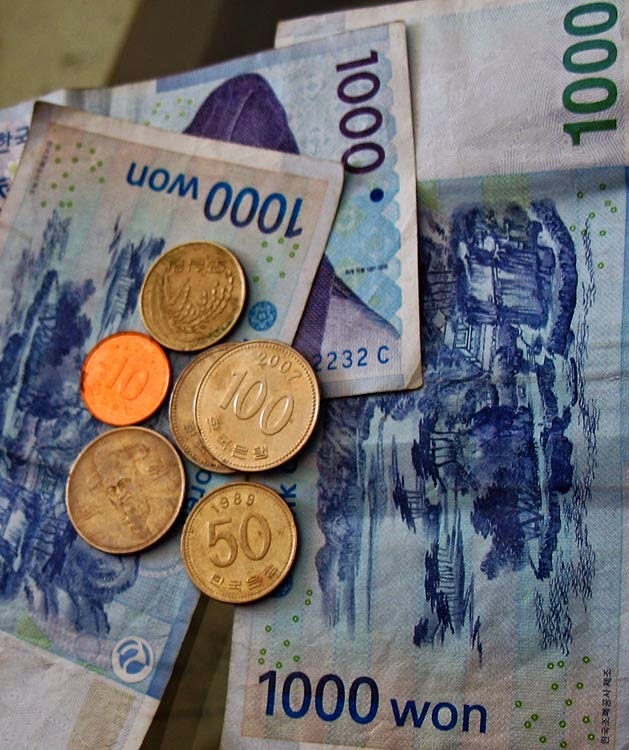 The photographs are of 1000 Won currency notes and some 10, 100, and 50 Won coins.